Too many people nowadays have been going under the knife to alter their looks. The body image portrayed in today’s female celebrities is becoming a dangerous trend, especially when “looking young” is a priority. It’s hardly any surprise that celebrities have gone the surgical route to reconfigure their faces and bodies to their liking. 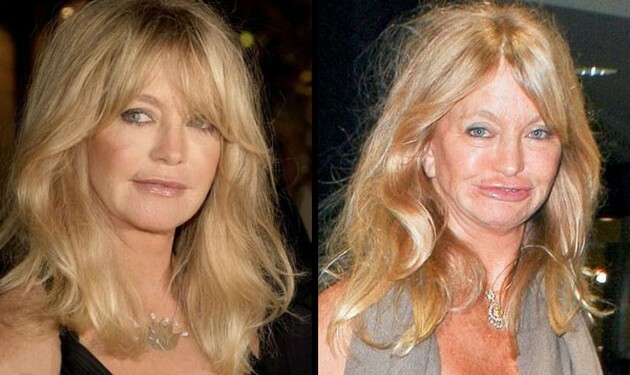 While plastic surgery has dramatically changed over the years in terms of innovative and scientific advancements, there are still celebrities out there who do a little too much or have suffered a major mishap on their first try. Here are examples of the unfortunate few that we wished would’ve never gone on the surgical table in the first place. Goldie is a widely known American actress, singer, producer, and director. She’s known for her appearance in a number of TV series and films including Rowan & Martin’s Laugh-In, Private Benjamin, Overboard, Bird on a Wire, Death Becomes Her, The First Wives Club, and Cactus Flower. Her post-surgical appearance in 2012 left the whole world in shock when her face took an ugly result. Fortunately, a follow-up surgery was done to correct the mishap. 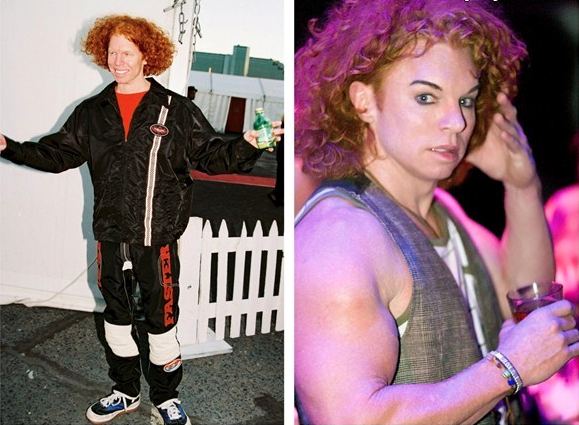 Carrot Top (aka Scott Thompson) is a comedian, producer, singer, and writer. He’s made in a number of appearances on TV shows such as Gene Simmons Family Jewels, Criss Angel Mind Freak, Space Ghost Coast to Coast, George Lopez, and Tugger. Carrot has been rumored to have had Botox injections, a brow lift, and a laser resurfacing procedure. Janice has a weird way of showing off her accomplishments. 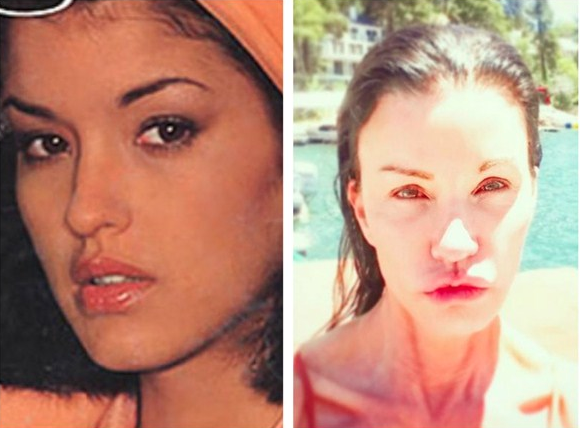 The former supermodel has been bragging non-stop on the number of cosmetic surgeries she’s had in the past. It would’ve been acceptable if the surgeries themselves have gone well. Clearly, this hasn’t been the case. 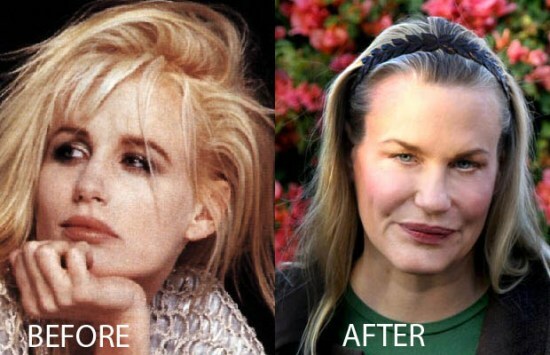 Her botched surgeries included a facelift, tummy tuck, and a brow lift. Joan has been around the comedy block for a number of years. She’s the tough-as-nails-yet-ridiculously-funny stand-up and actress who doesn’t give a damn about what you think of her. She proudly claimed that she had more than 700 plastic surgeries done on her body. Sometimes, it makes everyone wonder if she’s actually playing around or being dead serious about it all. For years, Daryl seems to have never aged. She was a darling in a number of blockbuster films including Wall Street and Splash. She even looked astounding when she headline multiple appearances in the Kill Bill franchise years later. By 2010, many started noticing the changes in her face. Since then, fans speculated the changes may be attributed to plastic surgeries.